If you are based in the UK you will qualify for either FREE next day shipping or a FREE workshop fitting. Call us today get yourself booked in! 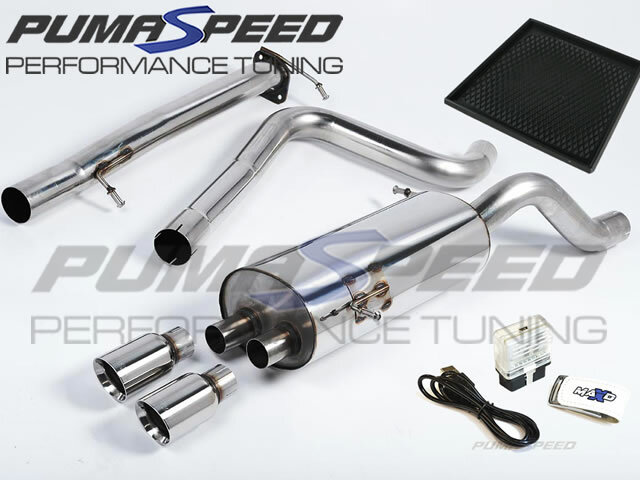 Here at Pumaspeed, we always like to offer the ultimate when it comes to Fast Ford Tuning, and our latest offering for the Fiesta ST180 consists of the correct ingredients for a fantasic and powerful Stage 1 package. Both Stage 1 (95 RON Fuel) and Stage 1r (99 RON Fuel) maps are available (dependent on what fuel you run your Fiesta on). The MAXD Out tuning box is not only capable of 230bhp, but can also be fully returned to stock using a Windows laptop. When it comes to aftermarket exhausts, Milltek are one of the best names in the business and their offerings for the ST are no exception as they offer wonderful flow, along with the ever popular Milltek growl! There are 5 Milltek exhaust options available to suit all your needs depending on how loud or indeed subtle you want your Fiesta to be. This is the perfect option for those who have recently bought into the Fiesta ST market, or for those who are seeking to gain more out of the standard car! The final piece to the puzzle is an Upgrade Panel Filter to fit the stock ST180 airbox. The standard airbox is not a bad design at all, and is perfectly capable of running the huge Stage 1 power produced by this kit. However, where the stock setup falls down is the filter itself, so our High Flow Filter comes in freeing up that all important intake air flow. The Pumaspeed Workshop team are ready to fit the Pumaspeed ST180 Ultimate Milltek Stage 1 Package in our Head Office located here. We estimate the labour time to be approximately 1.10 hour(s) costing £85.80 inc VAT. Therefore making parts and labour a total cost £910.79 (inc. VAT). Pumaspeed have a specialist distribution team that can dispatch the Pumaspeed ST180 Ultimate Milltek Stage 1 Package to any destination worldwide.